Shopping for a new Buick Envision? The base 2019 Envision’s limited color palette makes it a tough sell, unless you like your crossover SUVs painted white. The 2019 Buick Envision is a pleasant near-luxury crossover SUV with an eyebrow-raising price tag. It may bear the badge of America’s oldest automaker, but the 2019 Buick Envision is decidedly global. The five-seat vehicle is the first American-badged crossover SUV built in China. That may help explain its relatively narrow interior and unusual blend of standard and optional equipment. The 2019 Envision, with updated styling and a more powerful optional turbo-4 this year, is a compelling choice with a pricing problem. The Envision is available in base, Preferred, Essence, Premium I, and Premium II trim levels. Premium trims use a strong 2.0-liter turbo-4 rated at 252 horsepower that shuttles power to all four wheels via a 9-speed automatic transmission. Other versions of the Envision make use of a less-than-luxurious 197-hp 2.5-liter inline-4 paired to a 6-speed automatic and either front- or all-wheel drive. The Envision rides and handles well with a polished feel, but even turbo models are short of sporty compared to rivals such as the BMW X3 and Volvo XC60. Inside, the Envision has five seatbelts but is better suited to four passengers. Outboard passengers will find good space and decent outward vision. An 8.0-inch touchscreen for infotainment with standard Apple CarPlay and Android Auto compatibility is a highlight. At the rear, the well-shaped cargo area sits higher off the ground than in some rivals, a demerit offset by a standard power liftgate on all trims. Value isn’t the Envision’s strong suit. Base models cost about $34,000, but they’re only available in a limited number of colors. 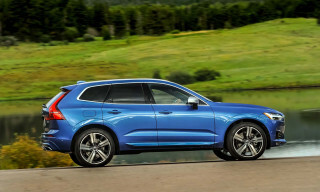 Adding all-wheel drive and features expected in a luxury crossover SUV such as leather upholstery and premium audio hike the price to more than $40,000. Disconcertingly, advanced active safety gear standard in crossover SUVs costing half as much as the Envision is limited to the Premium II trim. That puts our recommended Envision at around $46,000, at which point competitors from luxury brands are far more compelling. With its long and illustrious history, Buick has had plenty of time to figure out how to make its cars a good value. The 2019 Buick Envision’s fluid styling outside contrasts with a simple interior. A series of styling updates this year give the 2019 Buick Envision a subtly more expensive look than before. The Envision’s 184-inch length is on the short side for a compact crossover SUV, but its 108-inch wheelbase is more in line with competitors. Those dimensions give the Envision short overhangs for a pert look. Swoopy lines make it look larger than it is. This year’s new HID and LED headlight designs and revised grille detailing give it an upmarket face. Our only complaint: The cheesy fake “porthole” air vents that stick out of the hood like chrome warts should have been removed years ago. Inside, the Envision continues the curvy theme with organic shapes on its dashboard. Buttons and switches are grouped by function, but not necessarily by logic. Models with active safety tech and parking sensors have their controls grouped near an anachronistic analog clock to the right of the 8.0-inch touchscreen for infotainment. Moreover, Buick’s use of a wide plastic fake wood panel that dives into the passenger’s side of the dashboard is a trick more commonly associated with budget-priced cars: A single piece of plastic is cheaper than a more complex array of materials. The 2019 Buick Envision’s turbo engine is a treat, but the base setup doesn’t feel as luxurious as its price tag would suggest. 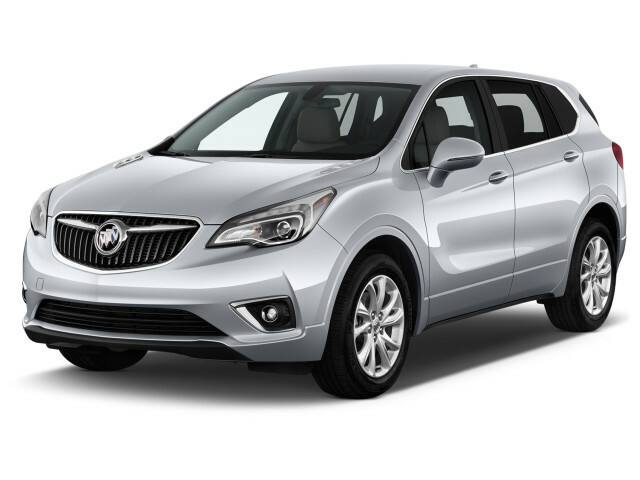 The 2019 Buick Envision comes in two iterations with distinctly different personalities. Neither the base inline-4 nor the optional turbo-4 gives the Envision an athletic feel, but that’s fine with us. Base, Preferred, and Essence trim levels use a 2.5-liter inline-4 that puts out 197 hp and 192 pound-feet of torque. A 6-speed automatic sends power to the front wheels; all-wheel drive is optional on Preferred and Essence trims. In our limited time driving the base Envision, we found acceptable acceleration and a smooth-shifting transmission, but more vibration at idle and noise under hard acceleration than we expect. The base engine runs out of steam climbing long grades and isn’t adept at highway passing. The better—but costlier—choice is the 2.0-liter turbo-4 rated at 252 hp and 295 lb-ft of torque that comes on Preferred trims. The turbo-4 is a lesson in smooth, strong acceleration, and it works well with the standard 9-speed automatic. The turbo-4 is a good choice for those in wintry climates with its standard all-wheel drive, but it may be a tough sell in Florida since there’s no front-wheel-drive version. Most Envisions ride on 18-inch alloy wheels that give the crossover SUV a firm, but not stiff ride. 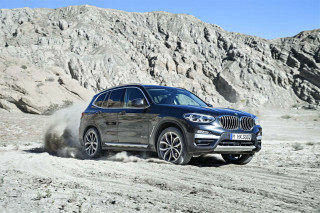 The optional 19-inch wheels fitted to a recent test car had shorter sidewalls that turned the ride into a brittle experience on rutted pavement. 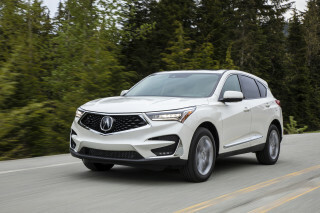 The larger wheels also increased the Envision’s turning radius, which made parking a challenge, but they didn’t turn it into a sporty crossover. The Envision handles well, with direct, nicely weighted steering, but it’s far from sporty on a curvy road. Instead, it makes a better highway cruiser. Extensive sound deadening measures such as acoustic window glass make the Envision a quiet way to whittle away miles. A relatively narrow cabin makes the 2019 Buick Envision feel smaller than some rivals. 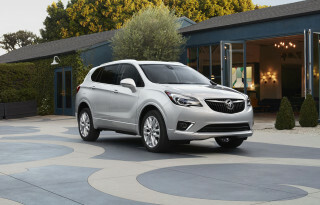 Compared to some crossover SUVs that have grown wider with every iteration, the 2019 Buick Envision is something of a throwback. The Envision’s front seats are firm and heated and both have 8-way power adjustment including lumbar. An extendable thigh support is included on the driver’s seat for the range-topping Envision Premium II trim, which also has cooled front seats. The story’s less positive in the second row, where the Envision’s relatively narrow body—a fit for more congested streets in China, where it is built—reveals itself. The bench is situated high enough for decent room and the backrest reclines, but the doors are close to outboard shoulders. Three adults sitting abreast is a challenge. The Envision’s standard power liftgate opens to reveal about 27 cubic feet with the rear seat upright and around 57 cubes with it folded. Those aren’t great numbers given the Envision’s exterior dimensions. A relatively high cargo floor doesn’t help, either. Envisions we’ve driven have a had a solidly assembled feel, but interior materials are a mixed bag. The dashboard’s wide expanse of fake wood is off-putting, but the leather upholstery on Essence and higher trims has a nice feel. The 2019 Buick Envision is a safe pick, but important active safety tech is a costly extra. It’s a shame that Buick restricts active safety tech we consider essential—especially at these prices—to only the top Premium II trim level. Even then, adaptive cruise control and automatic emergency braking are part of a $1,600 option package that bumps the crossover SUV’s price to more than $45,000. Essence and higher trims come with blind-spot monitors, while turbocharged Envisions include active lane control and forward-collision alerts. The Envision performed well in the IIHS’ barrage of tests last year, earning a Top Safety Pick award. 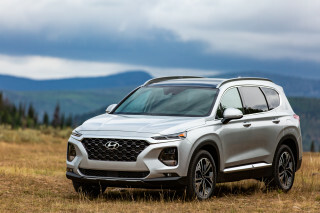 All-wheel-drive versions of the crossover also earned a five-star award from the NHTSA, although the feds haven’t assigned a rating to front-drive versions. If the IIHS rating changes with this year’s new headlight design, we’ll update this space. Shop carefully—the 2019 Buick Envision can be a decent value if optioned correctly. The 2019 Buick Envision is available in a wide array of trim levels—five, including base, Preferred, Essence, Premium I, and Premium II—but not all offer a good value. At around $34,000 to start, the base Envision is a good alternative to non-luxury rivals. It includes an 8.0-inch touchscreen for infotainment with Apple CarPlay and Android Auto, cloth and synthetic leather upholstery, power-adjustable and heated front seats, a power liftgate, HID headlights, and keyless ignition. Unfortunately, it’s available only with front-wheel drive and can only be painted white—yes, really. If that works for you, stop reading. For most shoppers, the Envision Preferred is the gateway to the lineup. It costs a staggering $3,300 more than the base trim, but adds no additional features other than the ability to pay extra for options including one of five colors other than white, all-wheel drive, and a power moonroof. That’s cruel, if you ask us. We’d bypass the Preferred for the Essence at $39,700 that includes leather upholstery, rear-seat climate controls, blind-spot monitors, memory for the driver’s seat, a roof rack, and a heated steering wheel. Envision Premium I and Premium II trims add the turbo-4 engine and all-wheel drive for $43,000 to start. Only the Premium II can be ordered with the active safety tech we consider essential including adaptive cruise control and automatic emergency braking, which puts our recommended Envision at a hefty $46,500. At least it’s often discounted. The 2019 Buick Envision isn’t among the thriftiest compact crossover SUVs. Don’t turn to the 2019 Buick Envision for class-leading fuel economy. You won’t find it, even on the modestly powered base model. Front-wheel drive Envisions are rated at 22 mpg city, 29 highway, 25 combined. Adding all-wheel drive to the inline-4 base engine dents those figures to 21/27/24 mpg. All turbocharged Envisions include all-wheel drive. They’re rated at 20/25/22 mpg. A recent Envision Premium II test vehicle earned around 20 mpg combined in more city than highway driving. Most competitors with similar turbo power hover around 30 mpg on the highway. Frustratingly, the Envision’s turbo-4 engine is formulated to run on costlier premium fuel. The base inline-4 uses regular unleaded.